Tottenham manager Mauricio Pochettino is open to taking charge of Spanish and European champions Real Madrid as he dismissed the possibility of moving to Barcelona or Arsenal. Zinedine Zidane guided Madrid to LaLiga and Champions League glory last season but the Frenchman is fighting to keep his job amid the club’s struggles in 2017-18. Madrid’s campaign hit a new low Wednesday, bundled out of the Copa del Rey quarter-finals by Leganes. 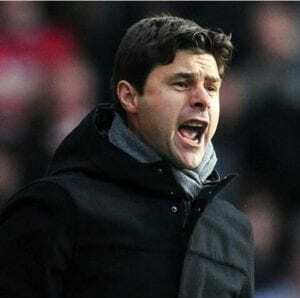 Pochettino has been linked with Madrid amid uncertainty over Zidane and the former Espanyol boss refused to rule out a switch to the Santiago Bernabeu. “I am so clear,” Pochettino said. “I am never going to be manager of Barcelona or Arsenal because I am so identified with Tottenham and Espanyol. I grew up in Newell’s Old Boys and will never manage Rosario Central.